With green passports in hand, my parents and I tackled several flight hours and TSA queues to arrive in St. Louis, Missouri for my brother’s graduation. 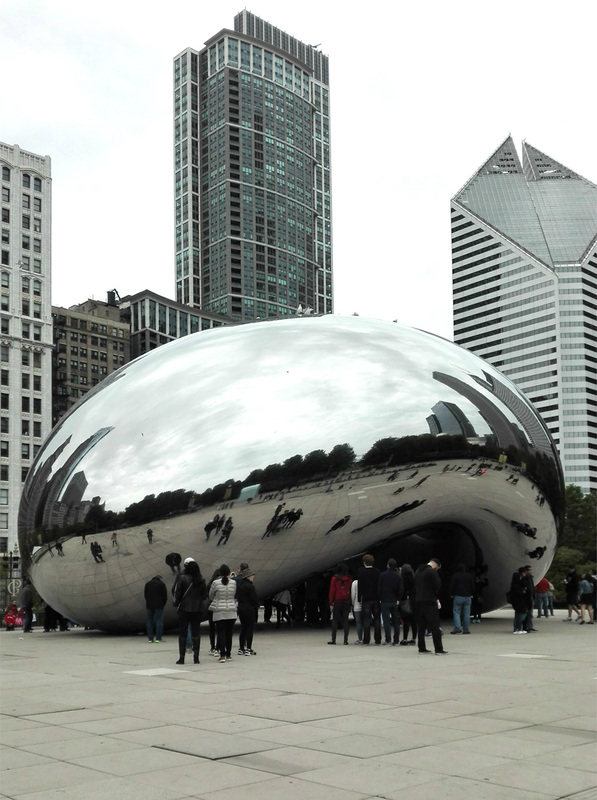 After the festivities, rather, the pocket of vibrant African celebrations in the quiet suburbs of O’Fallon, my brother and I decided to take a two-day bonding trip to Chicago and see what the city had to offer. 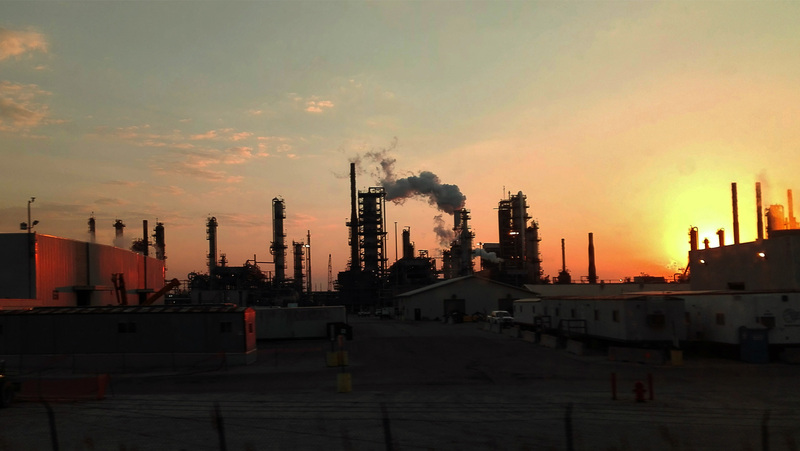 Walk with us for another edition of ImWalkingHere. 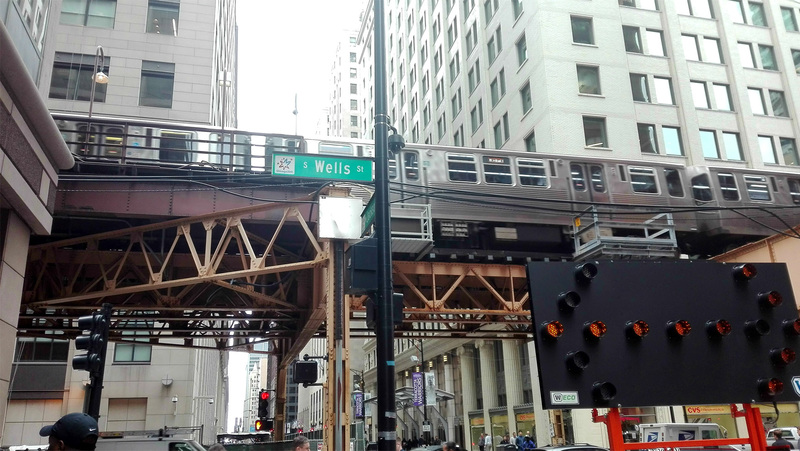 We took an early train out and navigated the city by foot to experience the popular perks Chicago had to offer. Along the way, we found some personal delights. After a year away from home, this came in the form of Nando’s for my brother (I suspect the real reason he came along), and for myself, the Terracotta Warriors Exhibition (fueling my obsession with Imperial China). 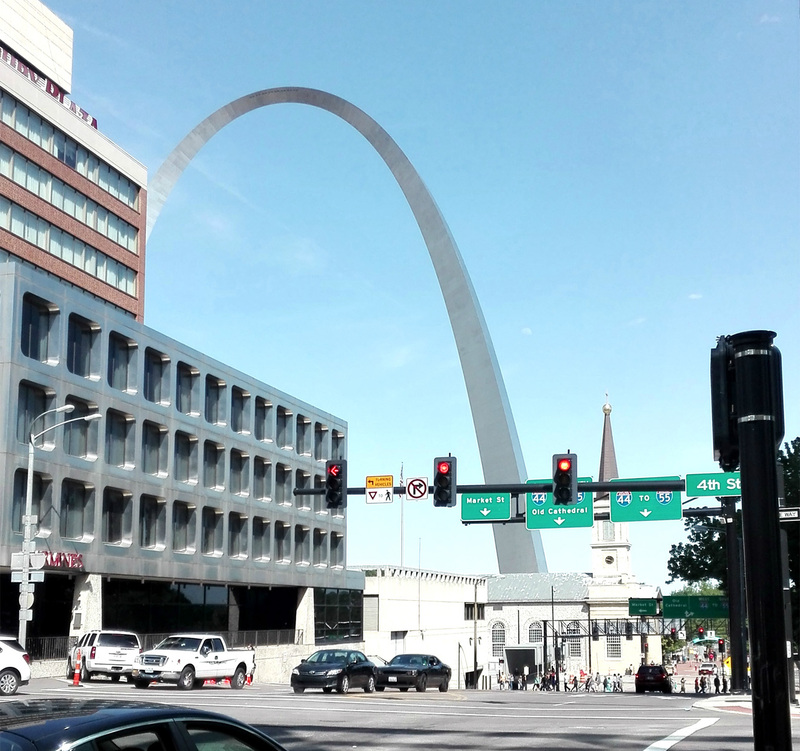 A view of the Gateway Arch in St. Louis. Designed by Eero Saarinen, this monument offers amazing views of the city if you can handle the claustrophobic tram capsules that will transport you to the top. View from the foyer of the Willis Tower (Sears Tower) designed by Skidmore, Owings, & Merrill and the second tallest building in the US. 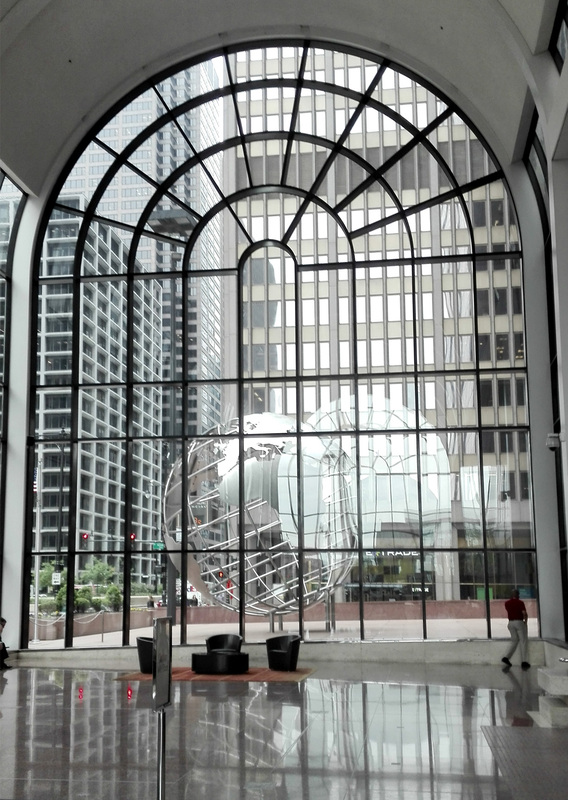 The 0.7m diameter stainless steel globe by Poblocki Sign Co. stands in the north plaza of the building. 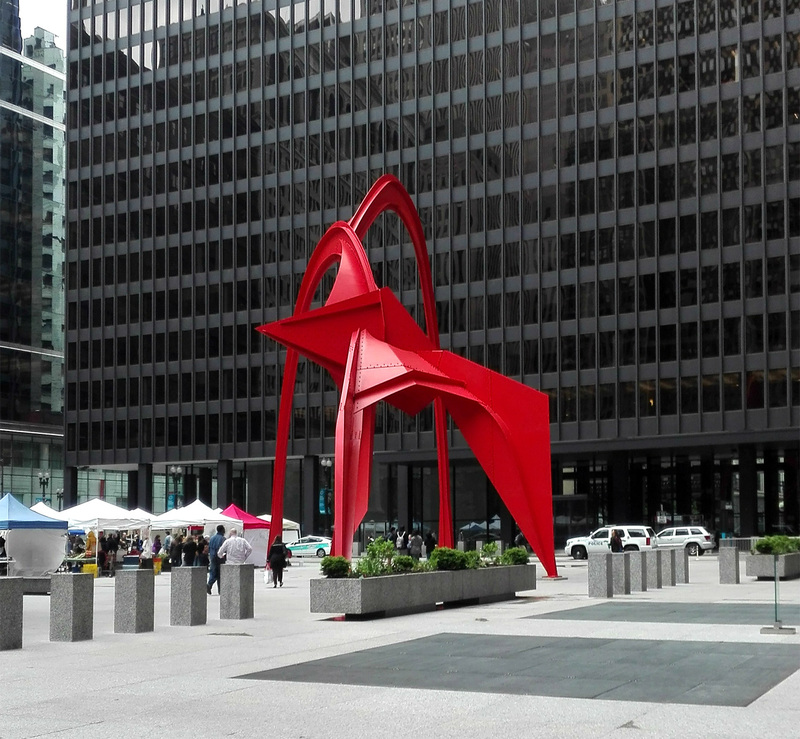 Alexander Calder’s beautiful sculpture striking a pose against Mies’ strict lines in Federal Plaza. 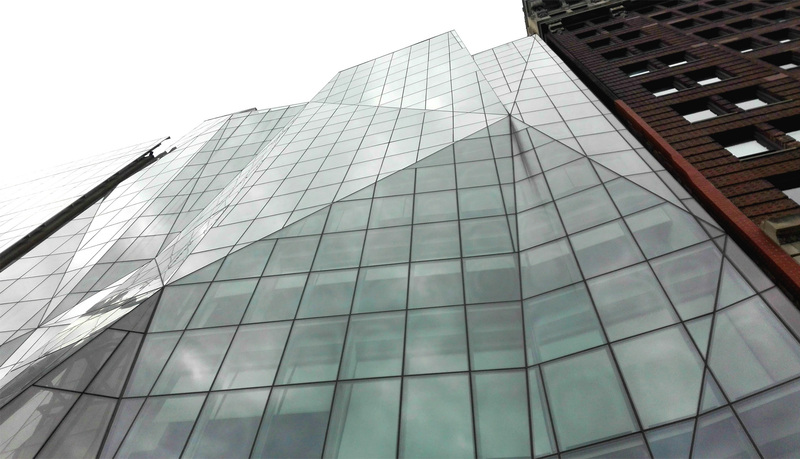 The Spertus Institute of Jewish Studies by Krueck & Sexton is hard to miss. This diamond of a building shines against the historic structures in the Michigan Boulevard District. Man and automobile on ground level, an elevated train line and buildings and sky colliding beyond. Chicago. 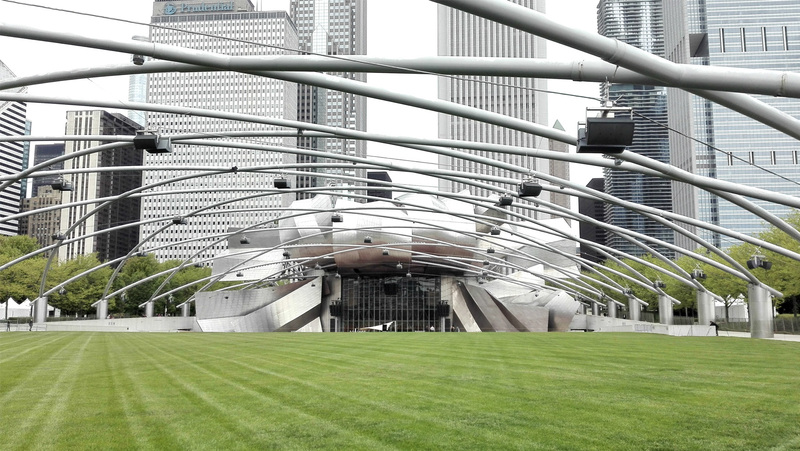 A view of the trellis and lawn at the Jay Pritzker Pavillion designed by Frank Gehry in Millennium Park. The Park was the brainchild of former mayor Richard Daley. It was privately funded and benefactors targeted the world’s most talented designers to create great moments within it. Anish Kapoor’s masterpiece ‘Cloud Gate’ with warped reflections of Chicago’s skyline. We arrived here just before lunch so sadly we couldn’t get our Kanye West ‘Homecoming’ shots. 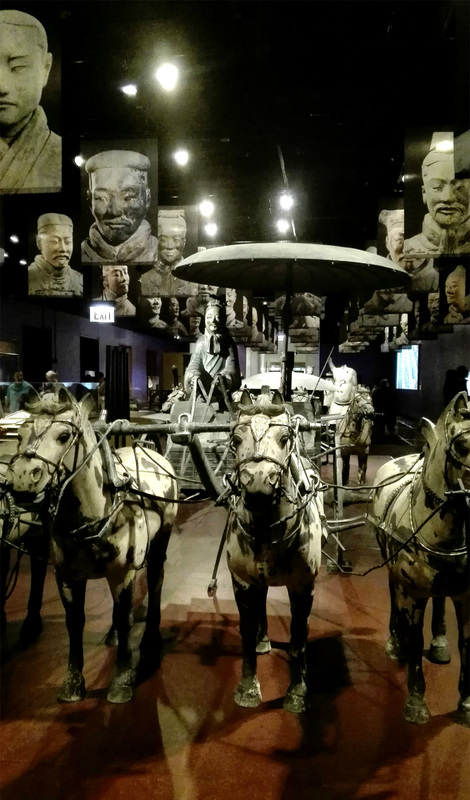 We took on the Field Museum after lunch for the ‘China’s First Emperor and His Terracotta Warriors’ exhibition offered the extraordinary story of the 13-year old emperor Qin’s vision. 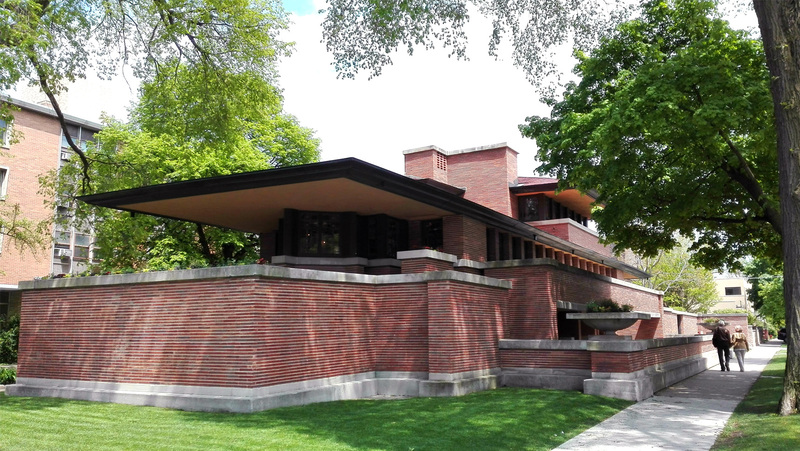 Having mastered the Metra train lines and CTA, we reached Hyde Park and the University of Chicago for Frank Lloyd Wright’s Robie House, fulfilling my first year [archi. school] dreams. 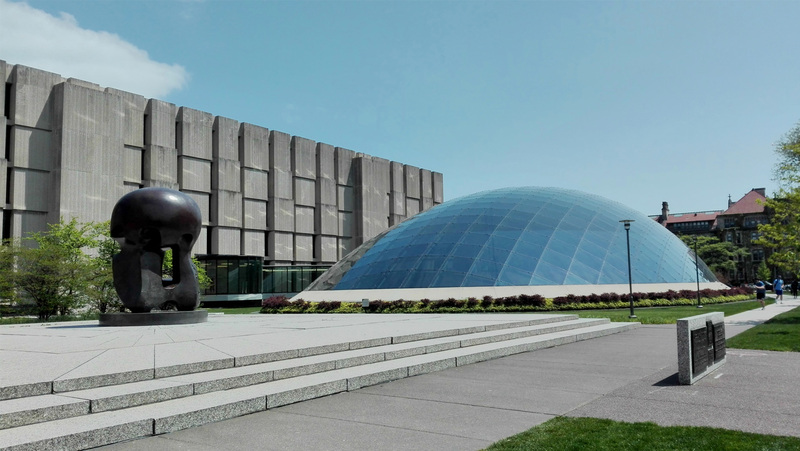 The Joe and Rika Mansueto Library, designed by Helmut Jahn, reflects the young entrepreneurial energy of the Mansuetos it was named after. It stores millions of books with an Automated Storage and Retrieval System (ASRS) and a reading room under this glass dome that blends beautifully with its surroundings. 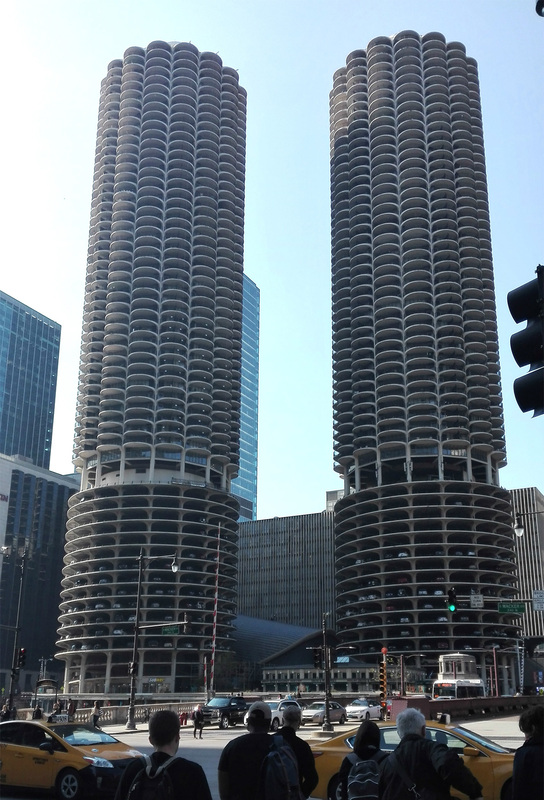 The petal balconies on one of the first mixed-use developments along the Chicago River, Marina City (corn-cob towers), designed by Bertrand Goldberg. 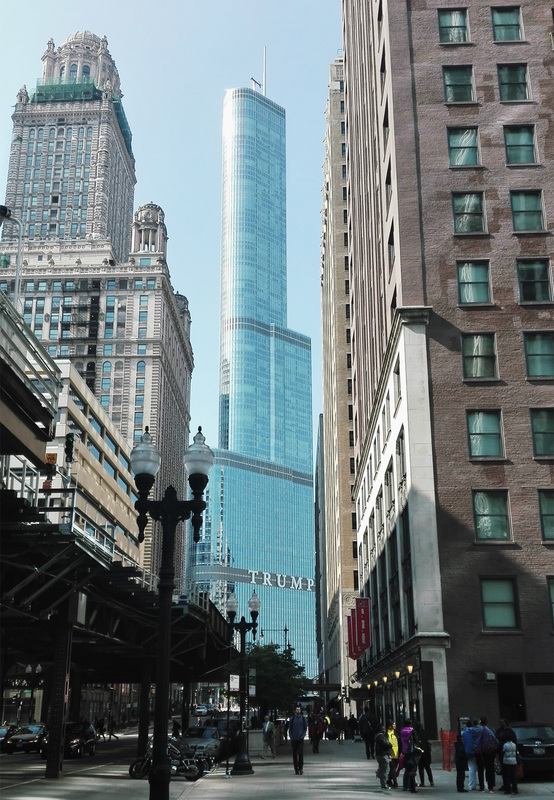 Trump Tower designed by Adrian Smith and SOM against some of Chicago’s historic buildings. Last Train to St Louis. Views from the train.